Our maids in Dubai are deft and highly skilled in washing your clothes to resemble its original texture and shine. The team of professionals at Mama & Maid have been well trained and come with years of experience in creating the perfect set of washed clothes. You can trust us with your laundry. The utmost care is given to washing our clients' clothes. Once the clothes have been handed over to us, our maids will use the best techniques to wash them. We understand that every laundry set will be different as no two houses will wear similar clothes or use their clothes in the same way. We wash your clothes using absolutely safe cleaning agents. We wash it in such a way that it still retains the desired feeling and texture. We take precaution when using cleaning agents and ensure that the clothes that are being washed will be clean and safe for you to continue to wear. We at Mama & Maid are committed to using cutting edge technology and advanced cleaning solutions, to help us achieve top notch quality and care in washing clothes. We carefully inspect each clothing item and follow the manufacturer's care instructions. We will launder any garment, unless you state otherwise. Each clothing piece will undergo a thorough cleaning process using advanced cleaning techniques. Whatever stains there are, we make certain you get your clothes back looking as good as new. Whether you have dresses, suits, uniforms, kids wear or even wedding gowns, our maids in Dubai are here to help with high quality, affordable laundry services. We are fast, efficient and can service your residence or business with superb cleaning solutions. 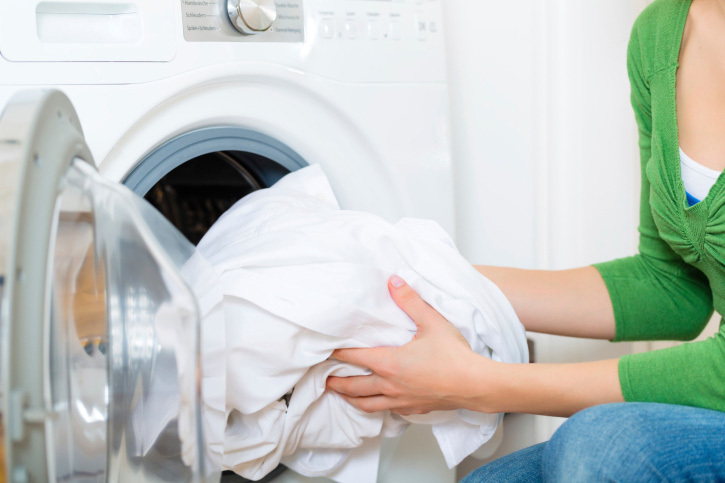 We are proud to be recognized as an expert laundry service, with a reputation that guarantees 100% customer satisfaction over a wide array of fabrics and garments.